1. Blanch the string beans in a large pot of boiling salted water for 90 seconds. Drain and quickly immerse in a bowl of ice water. 2. Heat the butter and oil in a large pan sauté the shallots on medium heat, tossing occasionally, until lightly browned (about 5 to 10 minutes). 3. 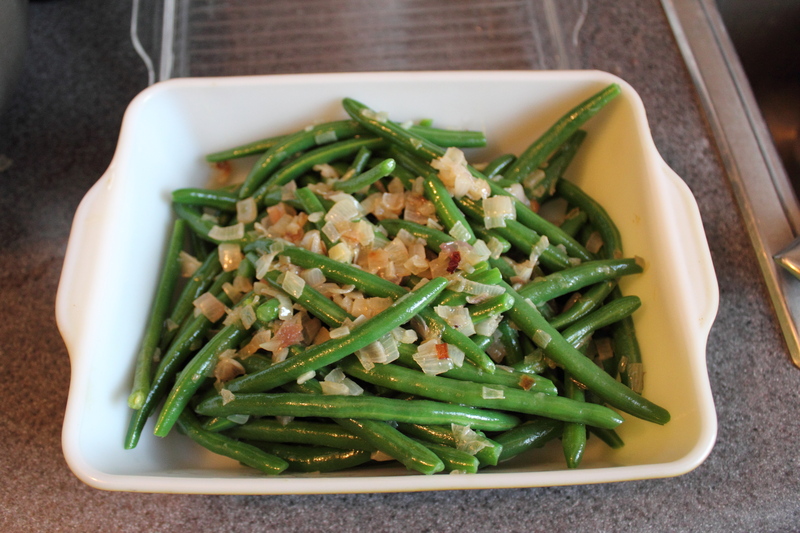 Drain the string beans and add to the shallots; toss well until the beans are hot. Add salt and pepper to taste. This would be easy and tasty.